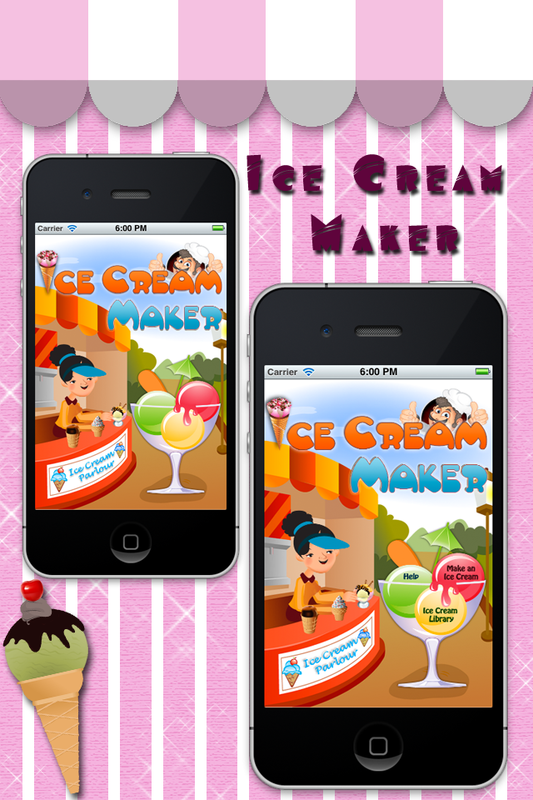 Make the most delicious ice creams with toppings, sauces, syrups, creams, cones, cups and more. 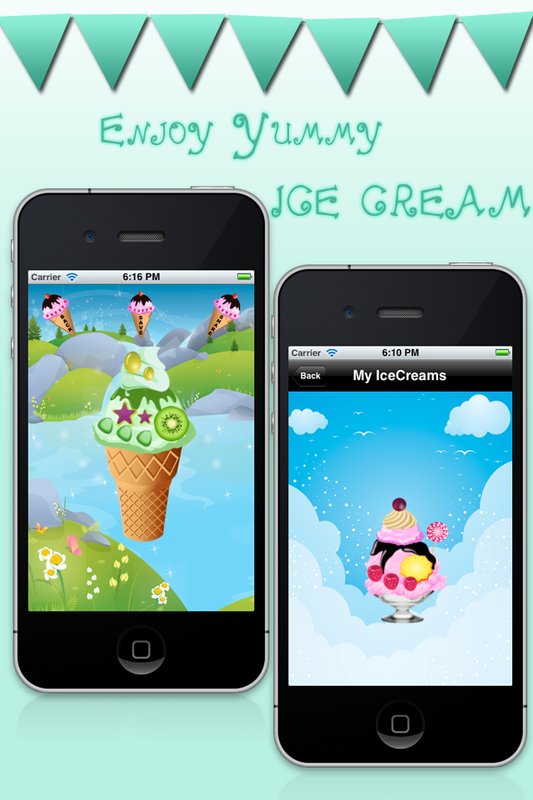 Keep an exclusive library of ice creams you had done. 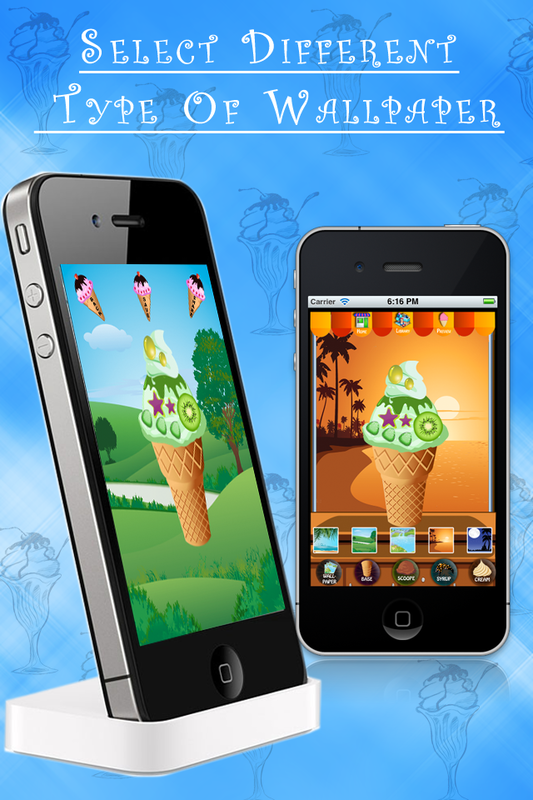 Share them via e-mail, Facebook, Twitter, by saving them and MMS (after saving them on the photo library). 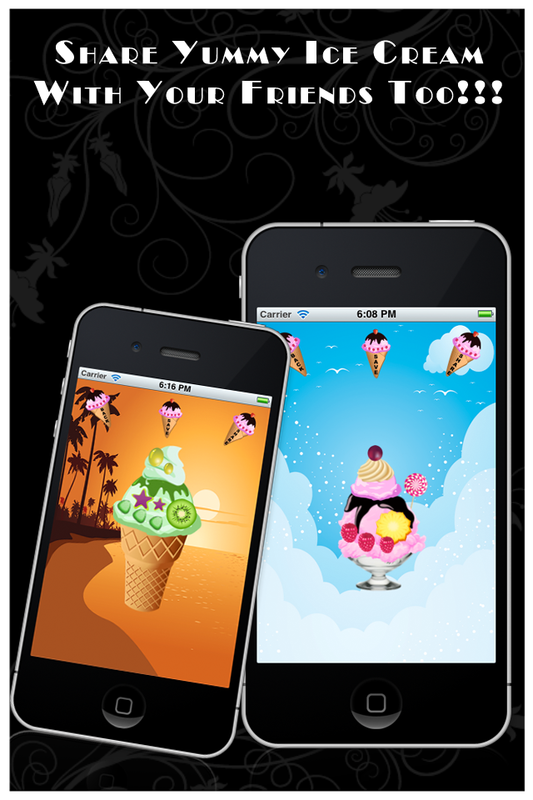 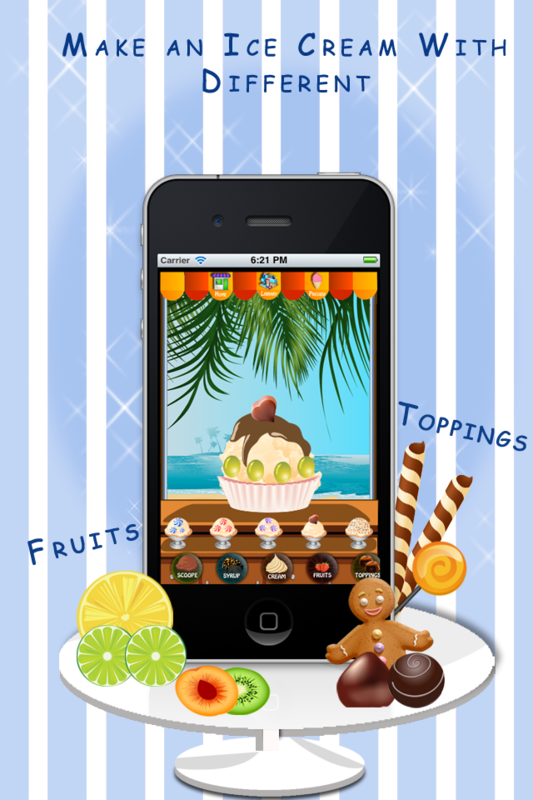 In-App purchase option available to save & share ice creams.